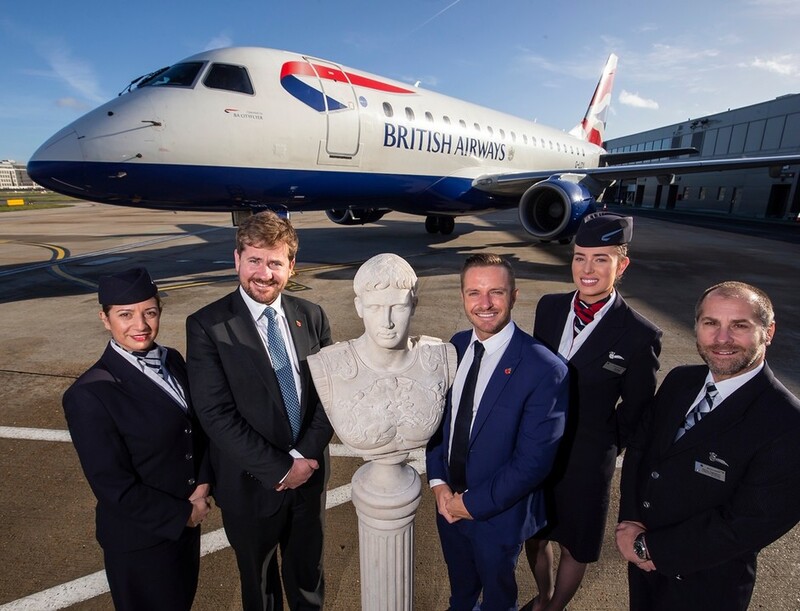 British Airways is celebrating the launch of new flights to the Italian capital city of Rome from London City this week. 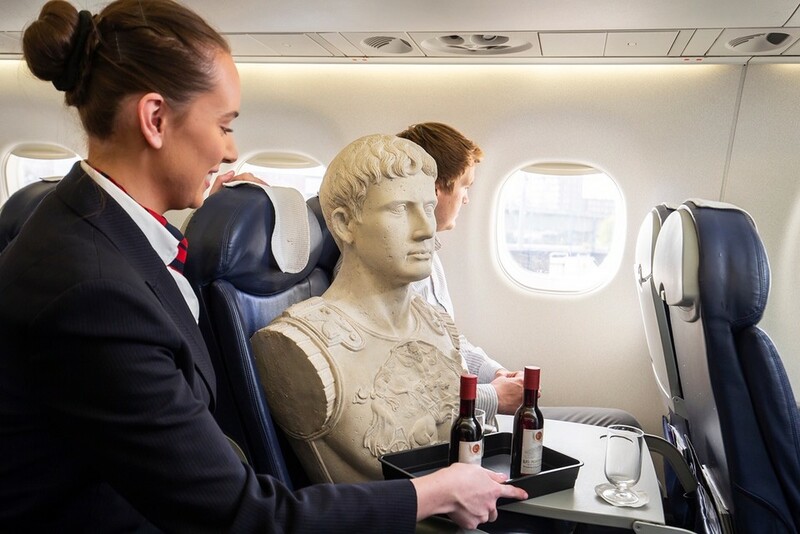 The new flight runs from Sunday to Friday on Embraer E190 aircraft and rather unexpectedly the carrier chose to welcome passengers on the first flight with a special bust of one of Rome’s most infamous forefathers, Julius Caesar! Yes, the dictator, the man who ordered the murder of hundreds of thousands of people, waged numerous wars, the man who invaded Britain, was drafted in by British Airways to greet customers on the first flight. 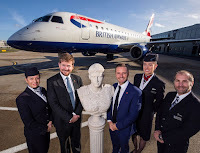 The bust was welcomed on board the Embraer 190 jet by British Airways’ in-flight business manager and fellow Italian Marco Tagliaferri.